Bath Salts: Steal away for a moment. Immerse and float your entire body amongst waters infused with the beneficial minerals and trace elements found naturally in French Dead Sea salts. 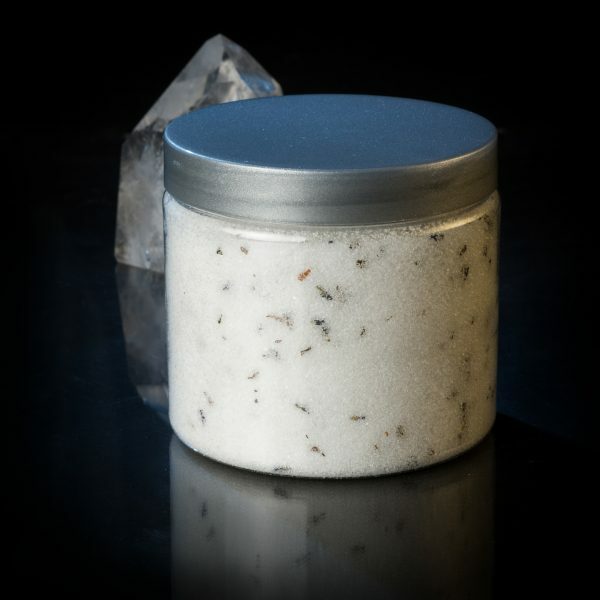 We’ve blended this valuable salt with soothing essential oils and delightful botanicals whose scents emerge fully as soon as they plunge into sultry bathwater. This treasure of minerals help support healthy skin and promote muscular ease. Dissolve one to two ounces as the bath fills; swoosh to distribute. Soak, breathe, enjoy. 16 oz.